He says he is going on Hiatus for a while, but don't let that throw you off. By the time you read his archived posts and check out the downloads and other resources, he will likely be back at it with new materials. Here is a sweet little blog with quite bit of resources for old school and new. I draw maps, I play games, I try to write too. You can see some of my maps on my blog, you can buy/read some of my stories, and you can follow my two current campaigns on Obsidian Portal (Against the Giants and Álfheimr). I am also open to being commissioned for drawing maps, and you can follow me on G+ if you are so inclined. Leonard Nimoy has passed away. Sad as it is, it comes to all of us and it is a time to reflect. Even when someone has lived to a ripe old age (83) it is still hard to see them go. I never met him, but he brought a lot of joy to my life and that of many others. In his portrayal of Mr Spock, he taught those of us who love games like D&D that when you portray an "other" whether a Vulcan, an elf or dwarf or something else, how it is done. Star Trek would not have been what it was and is without him. "I am not Spock. But given the choice, if I had to be someone else, I would be Spock. 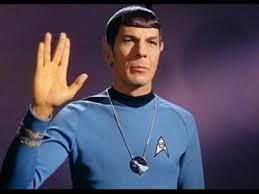 If someone said, 'You can have the choice of being any other TV character ever played,' I would choose Spock. I like him. I admire him. I respect him." "Whatever I have given, I have gained." "The miracle is this: the more we share the more we have." "When you let me take, I'm grateful. When you let me give, I'm blessed." "I believe in goodness, mercy and charity. I believe in casting bread upon the waters." Magic Swords, unlike other magic items, are intimately tied to their master on every plane of existence. A magic sword once claimed and used by its master, then becomes the ultimate symbol of its master’s power. An unused, unclaimed magic sword starts out as a semi-sentient entity with the potential for relating to its master as a good dog relates to its dearly loved master. Magic Swords start as a blank slate and align themselves over time with the alignment of their master. A magic sword has its own life-force that it bonds with its master’s life-force when it is treated with the proper respect and care and they become intertwined over time so that they cannot be separated willingly. A mistreated sword will turn on its master seeking to cause him harm in battle and slowly drinking his life force. A stolen sword is deadly to the thief and will seek to return to its rightful master. When the master of a sword dies, if he so chooses, his soul will combine with the sword increasing the power of the sword, its Intelligence and its Ego. In this way it is sometimes possible for a great Artifact to be created. When its master dies there are usually only two things that can normally be done with a magic sword, one is to pass it on to a blood relative who must be like minded with the original master and must seek vengeance for the original master’s death if the killer still lives and if they choose to take up the sword. These inherited swords are the only ones that do not start as a blank slate. If the blood relative is not like minded or does not choose to seek vengeance assuming the killer lives, then they should not take up the sword or it will turn on them. Inherited swords can be passed down through several generations until a suitable master is found. The other option is to bury the sword with its master where it will guard its master and is deadly to grave robbers. When the conditions are right for an Artifact to be created, these Magic Swords have a definite purpose and as such it is possible for someone other than a blood relative to wield the sword. This type of sword will seek out the person best suited to fulfill its purpose. Usually this person will have to undergo a series of tests in order to be found worthy. A newly gained magic sword starts with the ability to glow in the presence of its new master’s enemies and the ability to wound anything that requires magic or silver to wound. As the master grows in power and skill, so grows the sword and they will grow from semi-sentient to fully sentient over time. Swords will as their master grows discover talents unique to that master. No two swords are ever the same. Swords used by those who also wield magic will discover talents unique to that master. Swords forged with unique and special metals will also discover unique talents. The more powerful the master, the more powerful the sword will become. This game is by Scott Anderson and he has been developing it in a couple of threads over on Dragonsfoot and it is, as noted above focused on OD&D as the source. It is as he says not yet complete, so take a look and then go give him some feedback. This game is by Chris Gonnerman who is best known for writing Basic Fantasy Role-Playing Game. Here he shows us his version of OD&D as it was in 1975 after the thief class was introduced. You may also want to get a copy of The Role-Playing Game Primer and Old School Playbook. I am not sure if this last is a download or hard copy, but if I get a link to it and I will come back and update this post with it. While I have not read these in detail yet, I am certain they are both worth a good look. Great job guys. Keep creating! New OD&D forum: OD&D - Campaigns & House Rules Discussion - Purpose: widen the discussion on the creative do-it-yourself part of the game! Announcing a new discussion board focused on Campaigns and House Rules. The primary purpose of these forums is to discuss fantastical medieval wargames campaigns and house rules in all threads, unless otherwise noted. The primary focus is on OD&D, other Classic D&D rules and their various simulacra as the assumed foundational rule-sets for our campaigns, as well as, the house rules used therein. This will be a place to vet house rules and discuss them before they are tried out on the unsuspecting players. We will post new monsters and all types of new material for our campaigns; including, but not limited to, setting ideas, setting/world building and the like. Tips on how to run a campaign, how to ref/DM and other related topics are also welcome. This new forum is not an attempt to replace any existing forum, but rather to complement and spur more creativity. The focus is more on using and adapting the rules to your personal campaign. We hope it will be a great deal of fun to look at other people's campaigns and see how they do things. Even on those rare occasions when there is nothing that you directly want to borrow, we hope the discussion will always prove inspiring. If this is of interest to you, please join us in this joint creative effort to harness the synergy of sharing ideas and mixing them to get more old school goodness out of many minds than what one mind working alone could accomplish alone. You can find us at: OD&D - Campaigns and House Rules Discussion. For worldbuilding there are a wonderful cornucopia of resources available for free and here are some of the links that I have looked at from time to time. One of the things that you will notice if you google the topic is that most of the resources are geared towards writers of novels and not towards referees that want to create game settings (worlds). So most of the resources are top down design and you are hard pressed to find much related to bottom up design or a combination of the two. You will also be hard pressed to find much specifically for game settings. Since a lot of these do have to be accessed through the Wayback Machine I will likely post some of those links at a later date. First I will list some of the other resources that are available and then later on (i.e. not in this post) I will post additional information. This links are not posted in order of preference, but in the order they came up in multiple google searches (which may make you go "Huh???!?!". Again remember that these are geared more towards writers not referees and they vary in a lot of ways. The first non-TSR product I ever used in a game was the first volume of The Arduin Trilogy which is The Arduin Grimoire. It was quirky and full of wild ideas, tiny print only young eyes could read without help and generally just had so many different things in it ranging from completely silly to brilliant that I found it inspiring . It set the standard of there are no limits, this can be as wild as you want it to be. I hope to talk about some of the things I used out of Vol I going forward from here. A thing to remember is this started out as a OD&D fan supplement until TSR sent a CEASE & DESIST letter to Dave Hargrave. So he whited out the D&D references, typed over them and kept printing. Notes on Allignment, Combat, Movement, Monsters, etc. Multiversal Trading Company Price lists, Price Examples, etc. Character individualization, leqacy and equipnent charts, etc. Random events, charts, solo DM'ing, etc. New Mages Spells . .
Arduin's Principle Noble Familys . Denizens of Arduin's "under citys"
This blog is brand new this year and it is already a must read. Go there look around and read this essay: What Is Animal Fantasy? He talks about several different kinds. Mine, which I will post on this blog by and by, was inspired by Brian Jacques' Redwall series. He has a completely different and fantastic take on it and I look forward to seeing the finished product. During that time, I began to wonder: what would the world's first roleplaying game look like if it had been invented by a Shakespearean theater troupe instead of a wargaming club? As he says these rules are not complete and have never been play tested. But look at them! I hope at some point he decides to finish them. Who is King Truffle IV? His name is Robert F. Mason according to the above blog and let's encourage him to keep posting!